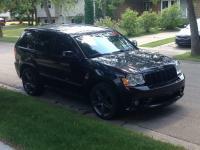 2008 Jeep Grand Cherokee SRT8 - my slips does not have 2008 in the database. 392 stroker, Vortech V2 Ti, SHR Viking. Formerly V3 Si on stock motor. Timeslips for MattSRT4's 2007 Jeep Grand Cherokee "2008"